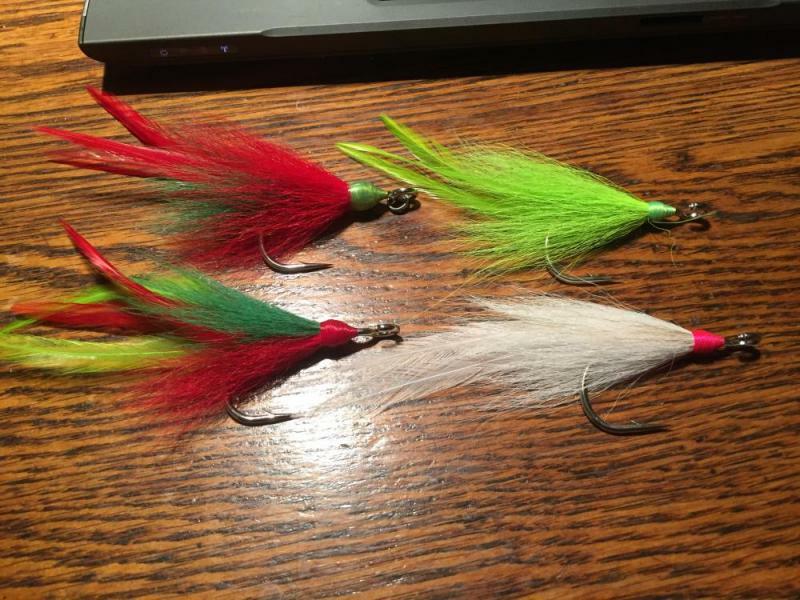 Have four siwashes for sale, tied on on 6/0 gamakatsu hooks. They have hackle feathers for appearance. There's two nuclear chicken, a chartreuse and a white. These would be great as tail hooks or as the hooks on fluke balls for summer jigging! Asking 12 plus shipping and fees. Money order or check will work as payment as well if you can't do PayPal. Thanks.